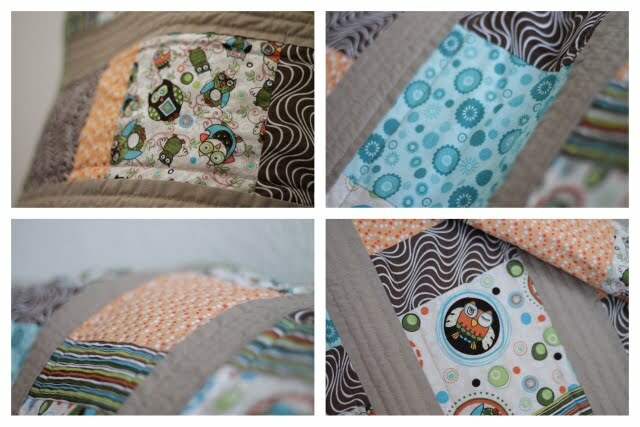 I thought I share a little quilt that I made up for a friend of Kartik's. They are expecting a sweet little baby any minute now! The quilt is from the same pattern as the ones I made Amaani and Ishu; but due to experience, a new sewing machine, and not being pregnant; it is much better constructed. And of the little loop I added to hang keys/binkies/toys from. I can never keep track of any of those when I'm out with the kids. This is my quilt :) and we love it and can't wait to use it!! You did such a beautiful job!! I love showing it off! looks nice! you said you made it for a friend of kartik's...not the baby?